Eric has the information you need to start your day! Meteorologist Paul Trombley checks in with the weather…plus local news, the Verlo Mattress Facebook DJ, birthday club, and the most music to begin the day! Polly will help you thru your work day with one great song after another! Drive home stress free, Sean has more from Southern Wisconsin’s At-Work Station. Meteorologist Laura Lockwood will update the forecast and find out how Wall Street did on the evening business report. Spend your evenings with John Tesh. He has the music and intelligence for your life! Let Eric start your weekend the right way with more music for your morning. No matter how you spend your weekend…spend it with Polly with the best music variety in Southern Wisconsin. Kick back with Sean on your Saturday afternoons with more music from WSJY. 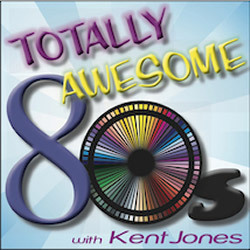 Kent plays nothing but the best from 1980 to 1989 for your Saturday night! It’s your life and Connie wants to help make it healthier with more of the music you love on 107.3 WSJY! Spend your Sunday morning with John Tesh. He has the music and intelligence for your life!